In 2016, we repeated our successful 2014 survey of UK specialist MS nurse teams. The resulting map shows MS specialist nurse capacity against the number of people across the UK. The findings are written up in our MS Specialist Nursing in the UK 2016: Report on Progress Towards Equitable Provision (PDF 487kb). each clinical commissioning group/health board categorised by the amount of MS nurse capacity available per person with MS. 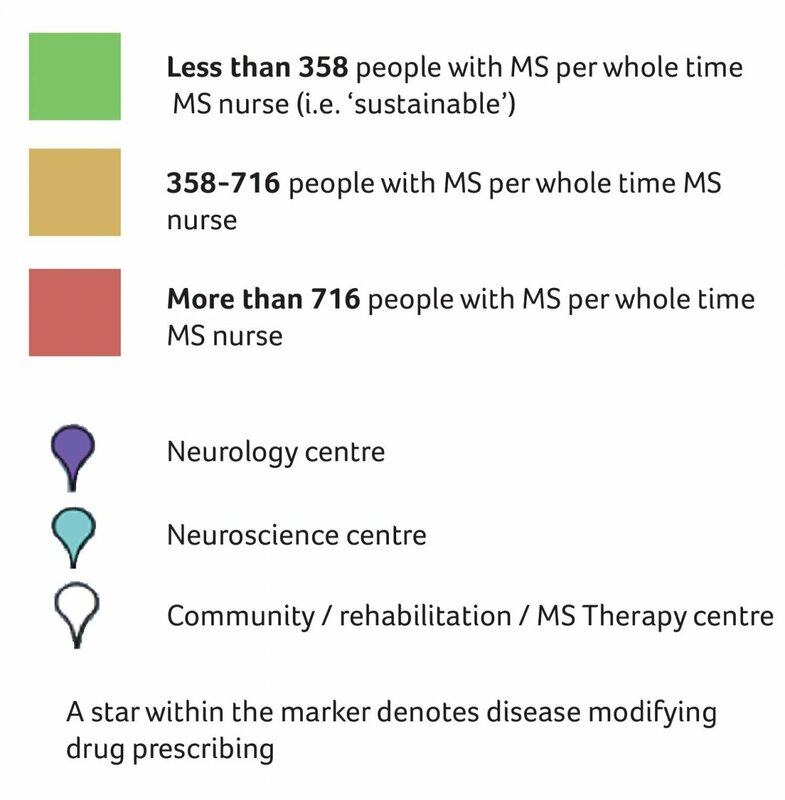 The colour coding of each area represents whether the area is within the MS Trust recommended ‘sustainable’ caseload of 358 people with MS per whole time MS nurse. The map is correct as of July 2016. Full details of the methodology used to count and map MS nurses to populations and the assumptions made about MS prevalence are given in MS Specialist Nursing in the UK 2016: Report on Progress Towards Equitable Provision (PDF 487kb), which also summarises the findings of this work at population level. To find an MS health professional in your area, see our map of MS services.